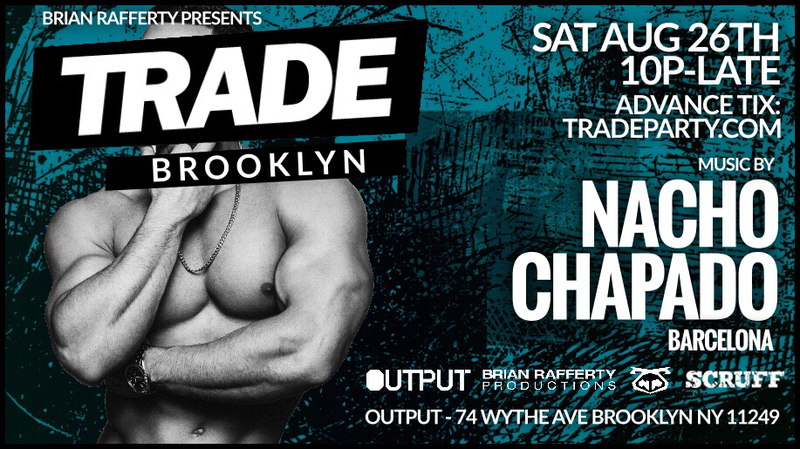 TRADE Brooklyn returns to OUTPUT with International All Star DJ Nacho Chapado and opening set by William Francis. VIP includes expedited entry and FREE Trade Shades. TRADE will be exclusively taking over our very own area of the club. Enter on North 12th Street into Panther Room.